This is the perfect time to start thinking about year end gifts for your best clients and customers, in recognition for the success they’ve helped you accomplish this year. With so many gift options, it can be difficult to narrow down what you should get, how much you should spend, and who should receive your gift. Hopefully these guidelines will assist you in your decision. #1 WHICH OF YOUR CLIENTS SHOULD BE RECOGNIZED? We need to be practical about our gift giving. Obviously you cannot get something for everyone. Rule of thumb: 80% of your business comes from 20% of your customers, so that’s usually a good place to start. If you have a smaller customer base, then rewarding everyone isn’t a bad idea. Now, what do you get the business person who has everything? #2 WHAT DO YOU GET THEM? 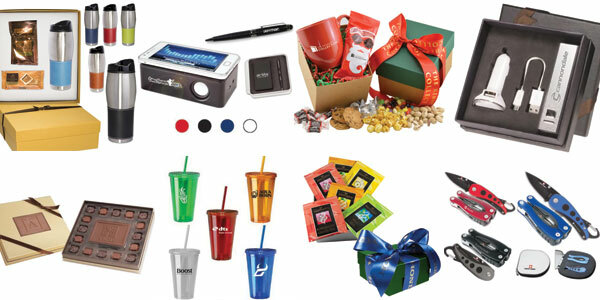 If you are going to get your customer a gift, why not put your logo on it? There are many high-quality options out there for promotional products that your customer will appreciate and actually use! Grill sets, nice polo shirts or jackets, upscale pens with the person’s name on them, or even a cheese board with your laser engraved logo on it! A great test in whether or not you should give this specific promotional products as a gift is to ask yourself, “Would I be excited to get this or would I use this?” If the answer is no, move on. #3 HOW MUCH SHOULD YOU SPEND? The biggest mistake in holiday customer appreciation gift giving is going cheap. Don’t be that business. If you cannot afford a lot of nice gifts, sacrifice quantity for quality. Those that receive your gift will be very appreciative and you will run a much smaller risk of offending a key customer with a klunker of a gift. There’s plenty of ideas out there to say “Thank you” to the customers who keep you moving forward for less than $1,000 this holiday season. If this is something you think you should be moving forward with, contact Rogers Printing and Promotional today for a free consultation on what direction makes the most sense for your business!